Similar to our M2407 and M2407A but doesn’t have the small front door with the fresnel lens. We believe these were made for some of the Kodak 35mm slide projectors. We know it fits the Kodak Ektagraphic III ATS projector. 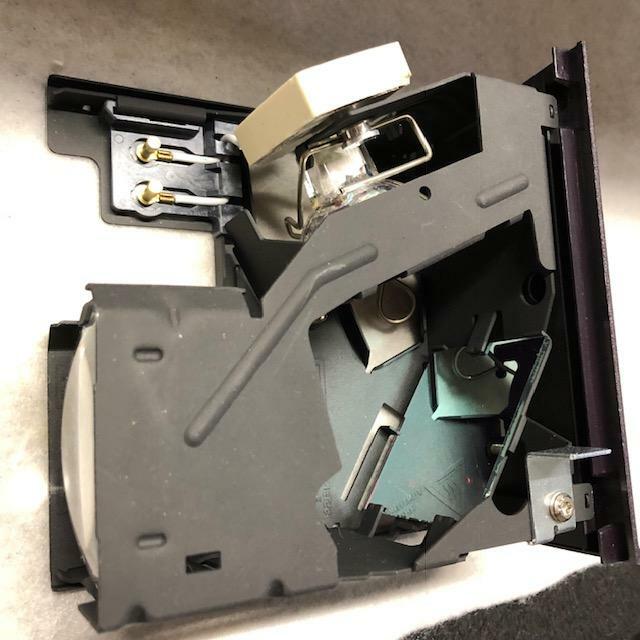 Assembly includes a Halogen 300 Watt, 82 Volt GE #EXR projection lamp (used in Kodak Carousel slide projectors), a dichroic mirror, 50mm x 45mm x 2mm thick, and a DCX condenser lens, 50mm wide x 55mm long. The mirror passes the heat straight thru and reflects the light thru the condenser lens. 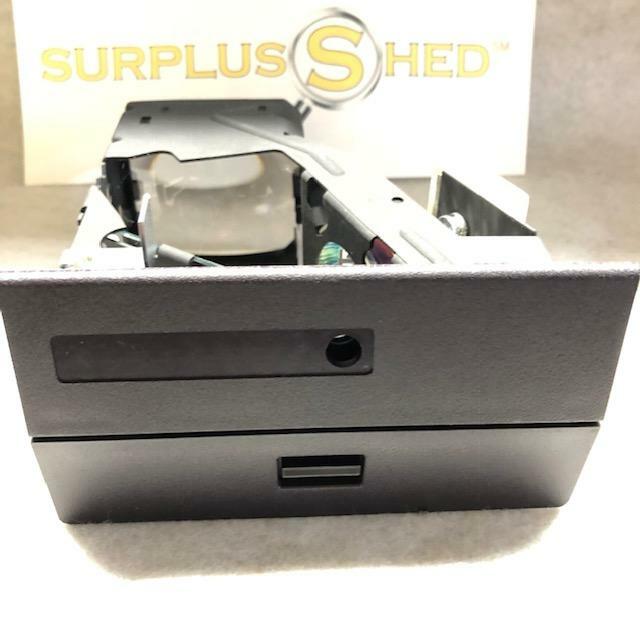 We see the projection bulb alone selling for more than our price for the entire assembly. Unused.